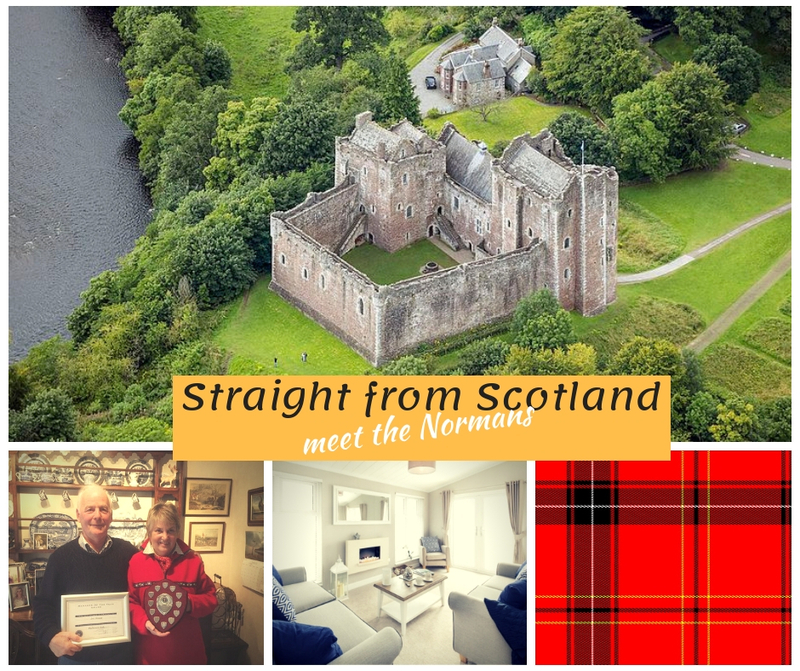 From the stunning Scottish countryside, living on one of our most beautiful parks – please meet Dorothy and Eric Norman. They have lived on the park for a couple of years now and Eric’s enthusiasm and has made him one of the most loved resident park manager ever…. We bought our park home and moved to Park Village in Crieff 3 years ago from Yorkshire, our reasons for doing so was to be near our daughter and grandchildren. We also loved this area and always knew that Perthshire is a beautiful location to live in, with its lovely scenery and lots of activities to do. The park itself is located in a picturesque location with lovely views. We found the purchase of our park home very straightforward, easy and hassle-free. It was made sense for us financially. We did our research and found out that it was financially viable buying a park home as it is low maintenance and economical to run, which was very important for us at our age. We also felt that living in a retirement village was safe, secure and would be good to have some company of people our own age. We also liked the fact that it’s fully-furnished when you move in, so essentially everything comes with the home all ready to enjoy. Eric often sits on the veranda and says that every day feels like a holiday here! After about 6 months of moving in, the opportunity came up to become Park Manager. Eric always likes to keep busy and do something interesting and he jumped at the chance! He never expected but in 2017 – Eric won the Park Manager of the Year much to our surprise and joy! I am so proud of him knowing that Wyldecrest has so many parks and the competition was intense. All in all, we are very pleased with our move and would recommend it to friends. If you’re looking to discover the very best Scotland has to offer Park Village is the perfect location for you. This stunning park is situated on the northern fringe of the town of Crieff on the edge of the picturesque Scottish Highlands, the ideal setting for anyone interested in nature. Perthshire is not only blessed with the breath-taking countryside, but it is also a region steeped in history and heritage. Kings and Queens, armies and generals, poets and artists – even heroes – have all passed this way, leaving behind a rich legacy of castles, churches, palaces battlefields, ancient monuments, and other historic sites. Crieff itself is the principal town in the beautiful valley of Strathearn in the heart of Perthshire and is within easy distance of Scotland’s rugged west coast and the fishing villages on the east coast. The nearby Drummond Castle Gardens are a sight not to be missed as is the Famous Grouse experience, at Glenturret – Scotland’s oldest distillery. Why not see for yourself, please get in touch with us and book a visit to Park Village today? If you are considering the move to a park home or you’re interested in buying a park home, text HOME to 82228 or visit our website https://www.wyldecrestparks.co.uk/property_location/park-village/, or call us at 03301337300. Previous My journey: Park resident to Park manager!